On May 3, 2017, U.S. Senator Johnny Isakson, R-Ga., reintroduced bipartisan legislation that would provide grants to civilian hospitals that hire active duty military personnel to help improve trauma response. The Military Injury Surgical Systems Integrated Operationally Nationwide to Achieve ZERO Preventable Deaths Act, called the MISSION Zero Act for short, S.1022, would assign U.S. Department of Defense (DoD) trauma surgeons to levels I, II and III civilian trauma centers to help fill a gap in care examined by the National Academies of Sciences, Engineering and Medicine. The legislation also will address variations in care methods that exist while providing military surgeons with additional training. The House passed the companion bill, H.R. 880, on February 26th. The legislation also creates the Military and Civilian Partnership for Trauma Readiness Grant Program, which would develop two grant programs, where recipients of each must also allow providers to be deployed by DoD for military operations, training or in response to a mass casualty incident. On September 25th, the full House voted unanimously to approve, H.R. 6378, the Pandemic and All-Hazards Preparedness and Advancing Innovation Act (PAHPA) of 2018 which includes the MISSION ZERO Act and authorizes $15 million to implement the program. TCAA joined over 50 organizations in expressing support for the bill which will strengthen national preparedness and response for public health emergencies, optimize state and local all hazards preparedness and response and accelerate medical countermeasure advanced research and development. TCAA led the Trauma Coalition in its efforts to build support for the legislation by meeting with Members of Congress in Washington, DC, sending letters to House and Senate leadership and facilitating conversations between TCAA members and their representatives. H.R. 6378 also included an initiative developed by the Assistant Secretary for Preparedness and Response (ASPR) called the Regional Health Care Emergency Preparedness and Response System which would help create regional systems of trauma centers, hospitals, and other public and private entities to respond to public health emergencies. TCAA is looking forward to continuing to work with ASPR on implementing this important initiative. On Tuesday, July 12, 2016 witnesses testified before the House Energy and Commerce Subcommittee on Health on H.R. 4365, Protecting Patient Access to Emergency Medications Act of 2016 and a proposed bill to facilitate the assignment of military trauma teams to civilian trauma centers to ensure military trauma readiness. The hearing commenced with opening statements from various members including Representative Hudson (R-NC) and Representative Butterfield (D-NC). Hudson and Butterfield launched the Pediatric Trauma Caucus in May. Attendees also heard statements from Representative Burgess (R-TX) and Representative Green (D-TX). The two recently published the op-ed regarding the importance of strengthening access to trauma care drafted by the TCAA advocacy team. 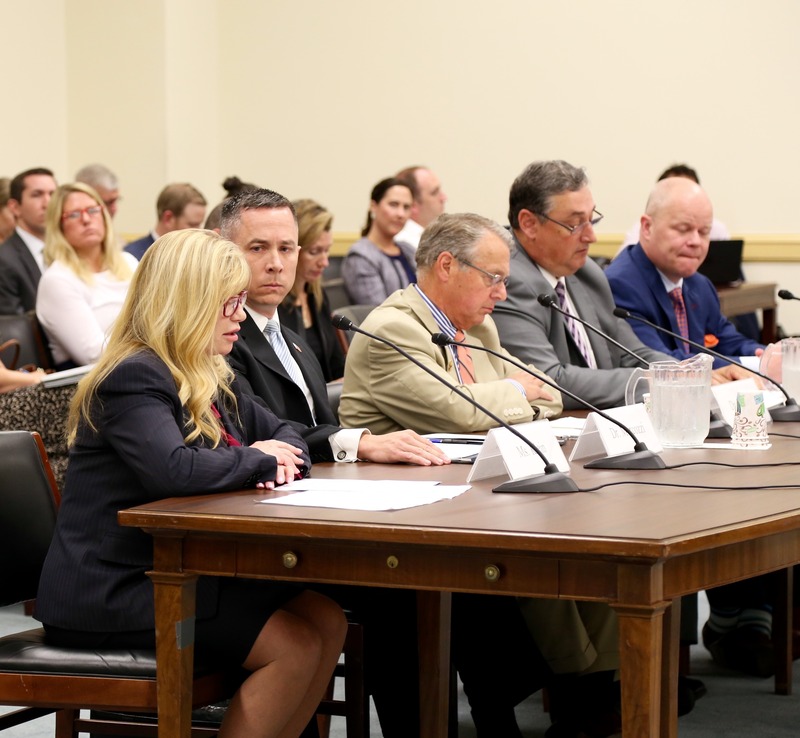 Jorie Klein, Director, Trauma Program, Rees-Jones Trauma Center at Parkland led with testimony on behalf of TCAA followed by testimony from others members of the NASEM Committee on Military Trauma Care's Health System including Dr. David Marcozzi MD and Dr. C. William Schwab MD, FACS. 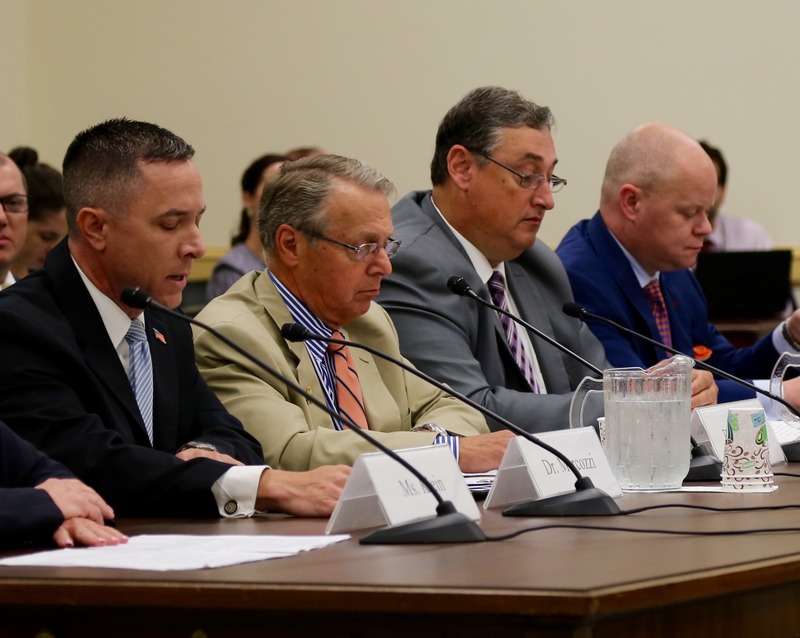 In addition, the Subcommittee heard testimony from Dr. Craig Manifold DO, FACEP, Committee Chair, American College of Emergency Physicians and Dr. Brent Myers MD, MPH, FACE, President-Elect, National Association of EMS Physicians. Click here for video from the hearing and other supporting documents. reimbursement. Under the conceptual framework, reimbursement for trauma services provided by trauma centers for hospital services would be replaced with an episode based payment model, in which reimbursement to the trauma center would promote the delivery of high quality and value based care to all trauma patients through quality measures specifically designed for the unique and unpredictable nature of trauma care. TCAA supports ensuring access to life-saving trauma care for all victims of traumatic injury, including as part of mass casualty events. Click here to see TCAA's position statement on gun violence.